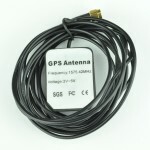 We’re introducing a versatile yet low-cost GPS product, the ST-00058, VPN1513 GPS Receiver. 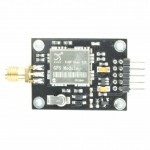 In this case we developed a carrier board for the VPN1513 GPS which is a surface mount GPS sensor. We didn’t just soldered it to a carrier board, but we also added a header for easy access, an improved GPS antenna connector and high-performance voltage regulator and backup battery. 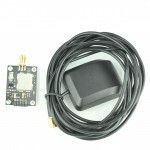 The unit is ready to use as soon is connected to an antenna, power and a microcontroller. At this point we suggest using the Propeller and Arduino microcontrollers. We uploaded Propeller sample code and we’re getting close to release Arduino sample code soon. We need to remark that this is a GPS board that delivers raw NMEA data strings and it doesn’t have an on-board microcontroller or co-processor to handle that signal. We’re working on a Smart GPS module that will do exactly that, but this unit provides only direct access to the GPS chip, with SiRF chipset.